As Dungeness crab from Central California trickles to West Coast markets, Oregon plans to delay the commercial season until Dec. 16 or later. California and Washington may follow suit, as testing has shown crab are low in meat yield. Crab quality testing in early November showed that none of the test areas met the criteria for a Dec. 1 opening.  A second round of crab quality testing will occur in late November or early December, and the results will be used to determine if the season should open Dec. 16, be further delayed, or be split into two areas with different opening dates, ODFW said. “Whatever’s better for the commodity is best — which is letting the crab sit and grow,” Crystal Adams, a manager at Hallmark Fisheries in Charleston, was quoted as saying in the Daily Astorian. Oregon’s recovery rates ranged from 18.2 percent, bookending the state at both Astoria and Brookings, to a high of 24.1 percent just south of Coos Bay. Most of the state is subject to a 25 percent recovery figure, with ports north of Cascade Head, just north of Lincoln City, subject to 23 percent. While waiting is difficult — especially for crews who have been working to get gear ready to deploy and processors ready to get crab to market — it’s the correct course of action, says Oregon Dungeness Crab Commission Executive Director Hugh Link. In Washington, meat recoveries from crab harvested in early November from Westport and Long Beach areas showed 20.9 percent and 20.2 percent recovery, respectively. The threshold is 23 percent. Washington commercial fishermen had one of the best crab years in recent history during the 2016-17 season, landing 16.3 million pounds. The 2010-2011 season was slightly better, with 16.8 million pounds. Northern California test results had the lowest meat recovery rates, with crab from Crescent City, Trinidad and Eureka all showing results lower than 17 percent. The crab from those areas have a ways to go to reach the 25 percent recovery level. Meanwhile, Central California fishermen have been delivering good quality crab at an ex-vessel price of $3 a pound. Consumers are snapping them up at around $6.99 a pound retail and placing orders for Thanksgiving feasts — a tradition for many, especially in San Francisco. Recent seasons have been delayed past the holiday but celebrations are on the table this season. 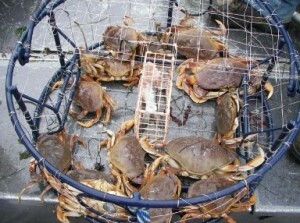 ODFW noted that in Oregon, crab closures are in effect for recreationally and commercially harvested crab from bays and estuaries, and on beaches, docks, piers, and jetties due to elevated levels of domoic acid from Cape Foulweather to Tahkenitch Creek and from the north jetty of Coos Bay to the California border. Crab harvesting outside of these areas remains open in bays and estuaries, and on beaches, docks, piers, and jetties. In conjunction with the delayed ocean commercial season, commercial harvest of Dungeness crab in Oregon bays that are currently open will close at 12:01 a.m. Dec. 1, but may reopen if the ocean commercial fishery opens in December. Despite the delay of the ocean fishery and because of the health closure in portions of the state, crab and shellfish products sold in retail markets and restaurants remain safe for consumers, ODFW said in the release. Last year’s season opening in Oregon was delayed but still brought in the highest ex-vessel value ever, $62.7 million, with 20.4 million pounds landed, about 22 percent above the 10-year average.